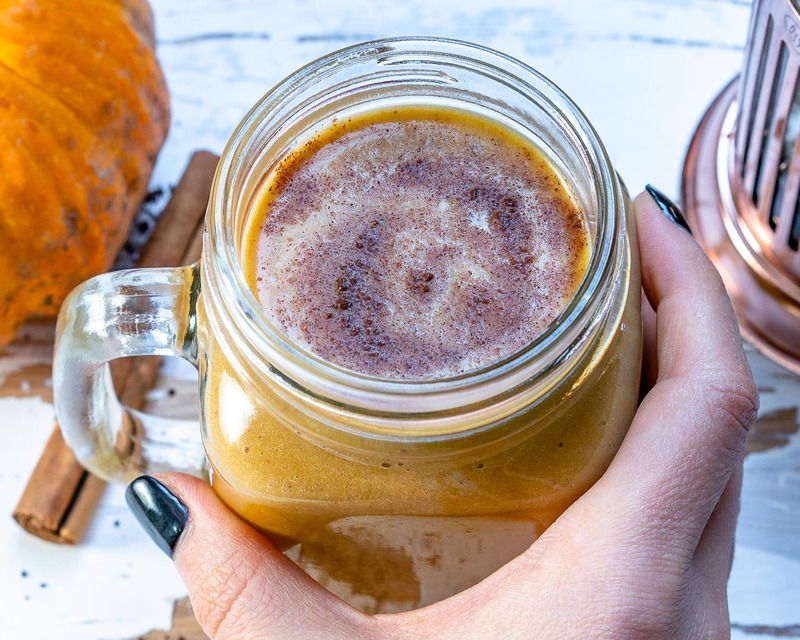 Cozy Up with this Healthy Pumpkin Spice Latte! 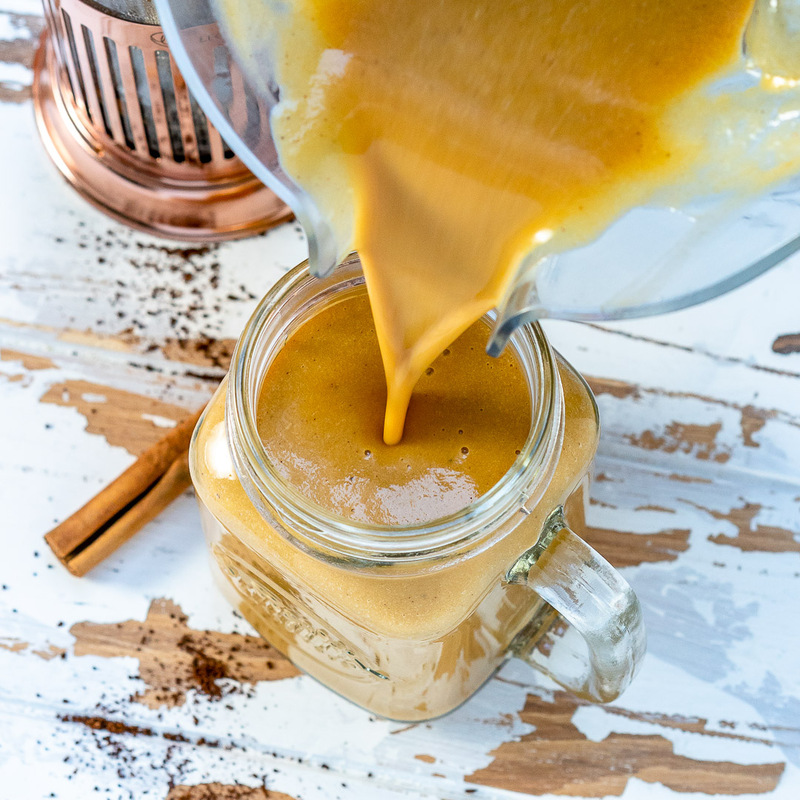 Try this PSL recipe…its Absolutely DIVINE…AND HEALTHY! 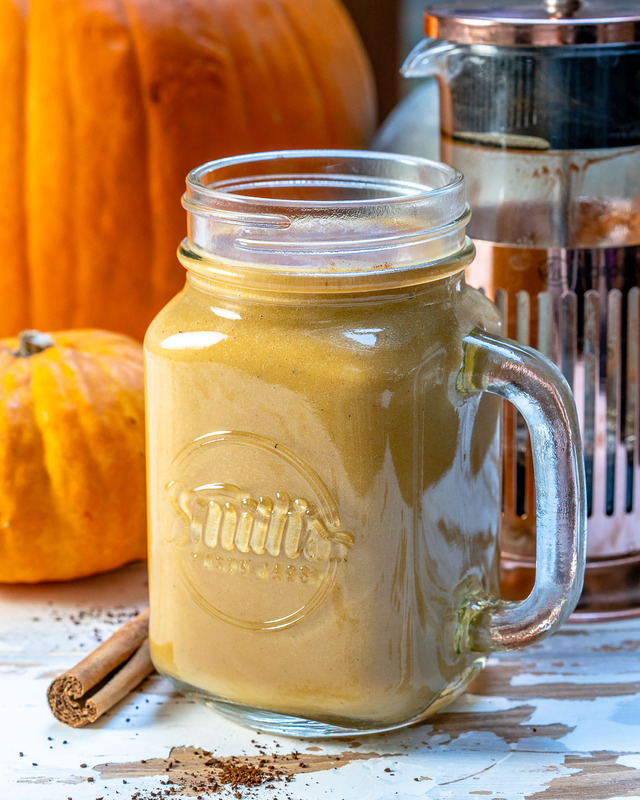 Make and sip all month while you’re prepping for the holidays! 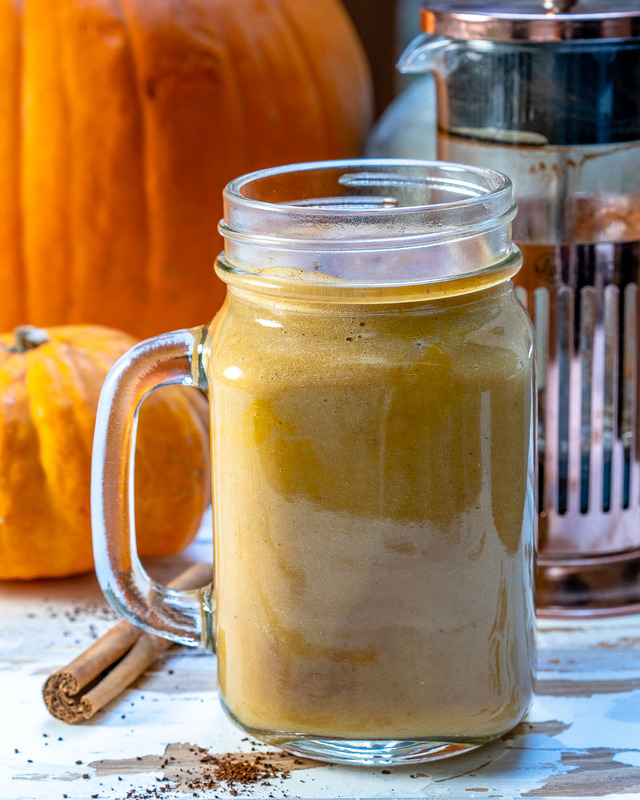 Pumpkin is super filling and satisfying, thanks to its high fiber content, but pumpkin is also low-calorie. So, it’ll fill you up, with high nutrients = energy fuel! 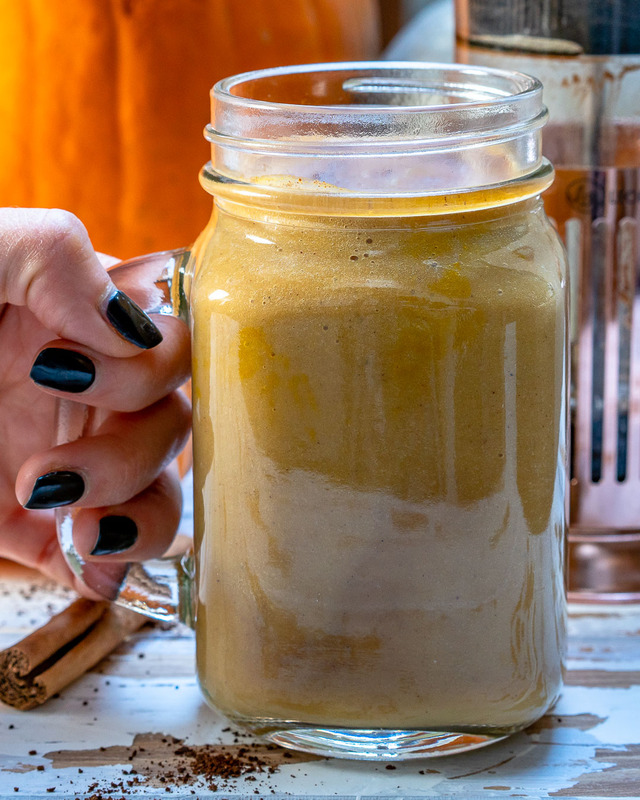 Pumpkin also contains beta-carotene, which converts to a BIG dose of vitamin A when we eat it (that bright orange color!) Vitamin A keeps our eyes healthy and boosts our bodies immunity to sickness and disease. Add all the ingredients to a high-speed blender, and blend until smooth and well combined. 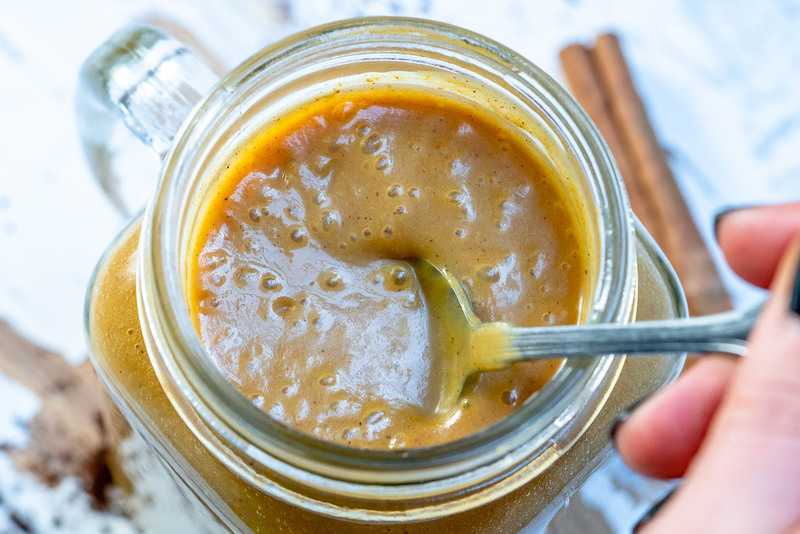 Serve warm, sip and enjoy!